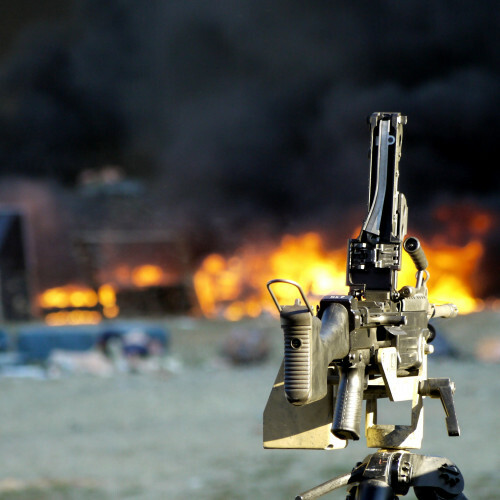 Why the Knob Creek Machine Gun Shoot? 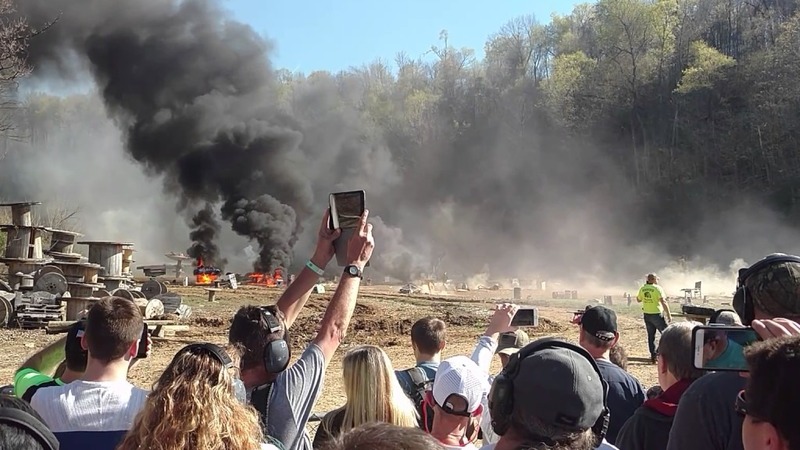 The Knob Creek Machine Gun Shoot is a chance for your inner Rambo to slug away at abandoned vehicles and pyrotechnic-charged barrels behind the trigger of heavy duty firearms. Yes, it’s legal and yes it’s live ammo! For the good folk of West Point Kentucky, 'shooting pool' in the evening doesn’t cut it as means of letting their hair down; these arms enthusiasts prefer picking mini-guns, Tommy guns and Uzi’s off the rack for a good old-fashioned Night Shoot. With the blaze of tens of thousands of live rounds lighting up the horizon there's just one simple objective: mushroom clouds and fireballs! Knob Creek: Where “The Second Amendment Comes First"". The Knob Creek Machine Shoot is only part of the experience though. 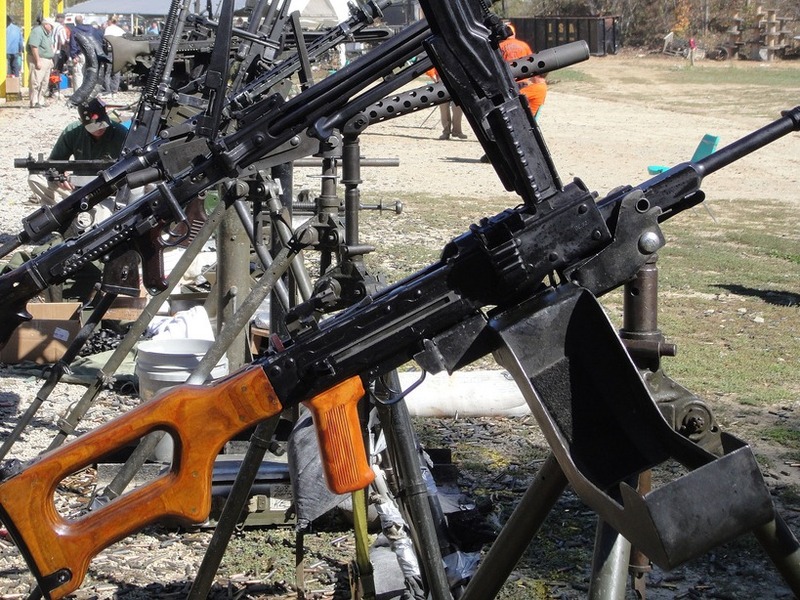 The Military Gun Show hums with hoards of machine gun dealers and collectors displaying and buying exotic firearms, ranging from the earliest and crudest vintage models to sleek space-age designs fit for the upcoming Blade Runner sequel. No matter your preference, there's something everyone at Knob Creek has is common: a weakness for mushroom clouds and fireballs yeeeehaaaaaw! Knob Creek Machine Gun Shoot & Military Gun Show 1st-31st October 2017. Gun dealers and collectors displaying and buying exotic and rare arms. Saturday Night Shoot has to be seen to be believed!